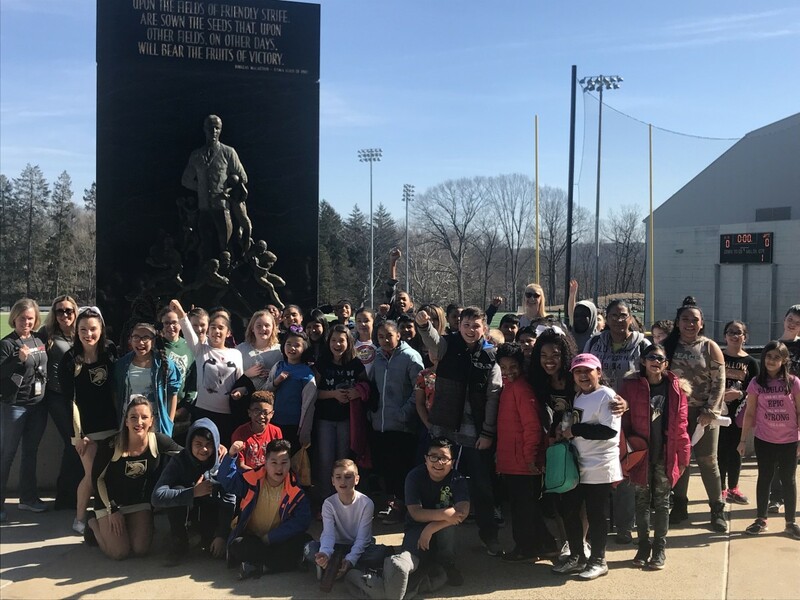 New Windsor School’s 5th grade attended ARMY West Point Basketball Education Day. They had the opportunity to visit the college campus and watch NCAA Division 1 student-athletes in action. There was a halftime presentation that was led by the Army’s strength coach on healthy living and the relationship between physical activity and individual well-being. One of our 5th grade students were brought onto the court to answer a trivia question about George Washington, got the question correct, and was able to win a T-Shirt.